May doesn’t just mean wall-to-wall season finales for all of our favorite science fiction and fantasy shows on the main broadcast networks. It also means that it’s media upfronts season, when the networks announce which shows will be back next year and which new series they are picking up. This year we’re tracking 17 genre shows on ABC, CBS, FOX, NBC, and The CW (an unthinkable number a decade ago!). So will S.H.I.E.L.D.’s mission continue? Will Supergirl fly to a second season? Is it the end of the road for Grimm? After two seasons filling in for Agents of S.H.I.E.L.D. during its winter break it’s the end of the road for Peggy Carter. Marvel fans hoped that, if Agent Carter didn’t win a renewal with its middling ratings, maybe Marvel’s Most Wanted would take its place. No dice: the Bobbi-Lance spin-off didn’t make it past the pilot stage. On the other hand, Phil Coulson’s team has been going strong this season, with the Inhumans storyline and the assembly of Daisy Johnson’s “Secret Warriors” team. The show earned a fourth season renewal back in March. ABC’s Sunday night, Disney-esque fantasy series is back for a sixth season in the fall, having earned its official renewal also in March. The show has continued to perform well enough on Sunday nights, though the ratings are down substantially over last year — with last week’s 2-hour finale drawing only a little over 4 million viewers (down from 5.5 million last May). Here’s the big news of the week: Supergirl was very much on the bubble, both demanding a high price tag for CBS but also turning in some of the strongest ratings (almost 10 million weekly in Live + 7) among all new dramas this season. The series has been renewed — but it will move to The CW in the fall, where it will air alongside Greg Berlanti’s other DC shows. That seems a wise move and a better demographic fit, though it will require a significant budget cut and a production move to Vancouver. 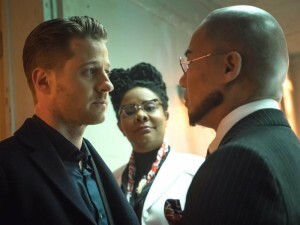 Gotham has been a strong performer for FOX on Monday nights, with around 4 million viewers this season. 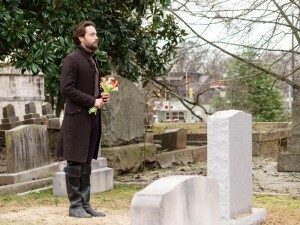 The network is also happy with the show’s creative, and gave it an early renewal in March. This fall sees the start of Gotham‘s third season. The follow-up to the Tom Cruise film seemed promising at the start of the season, coming in with brand recognition and an intriguing, futuristic premise. But viewers never really turned up for Minority Report: after a weak premiere at 3.1 million viewers in September the show had fallen to 2 million in October, when FOX reduced its order from 13 episodes to 10. The show was done. 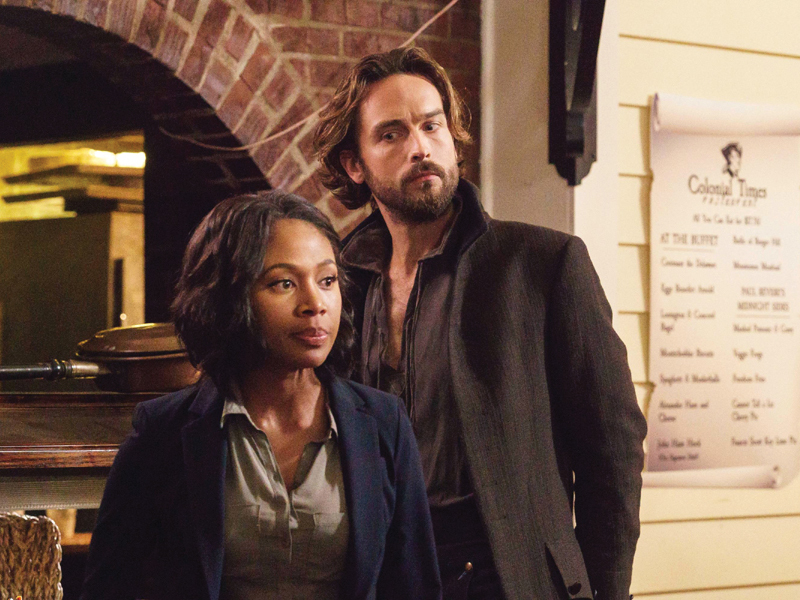 Sleepy Hollow has always had a rabid fan base, and they were bound to be upset by the decision to kill off one of the show’s leads. Although the Friday night show hasn’t seen live numbers above 3 million since February, FOX has expressed confidence in the rising star-power of Tom Mison (Ichabod Crane) and has given Sleepy Hollow a fourth year — to premiere at mid-season. Fan-favorite monster drama Grimm continues to give NBC a solid foundation for Friday nights, though it hasn’t managed to find a companion series with much staying-power. Grimm is back for a sixth season next year. The only question mark is the number of episodes it will get: NBC ordered only 13 episodes instead of the usual 22, though this is not necessarily a final number. They may have other plans for Fridays at mid-season, or otherwise want some extra scheduling flexibility. NBC could order the “back 9” down the road, like they do with new shows. We were excited for the continuation of the original Heroes, which in the previous decade had been a break-out hit for NBC in an era when genre shows on network television were watered down and usually didn’t last. Originally planned as a limited, one-off event series, Heroes: Reborn did its job well enough — but seemed to suffer from many of the same problems that its parent show had, back in the day. NBC doesn’t have any plans to make more. 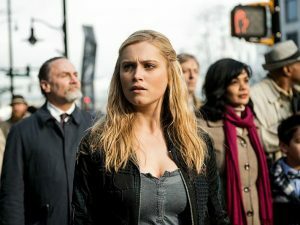 If you set aside the comic book line-up and vampire melodramas, The 100 is The CW’s one true hard science fiction show. It’s been telling a great story, and making headlines this year with controversial character deaths. The CW gave it an early renewal for Season Four, and will keep The 100 at mid-season. 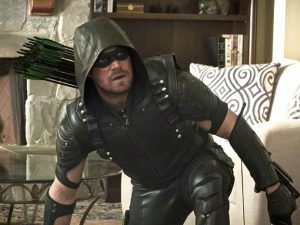 The grand-daddy of what has become a DC Comics power line-up, Arrow continues to post consistent numbers for The CW with around 2.5 million viewers on average this season. Season Five is coming next year with a new villain and new characters — and hopefully some revitalization to what has become somewhat formulaic. Don’t expect it to be the show’s last. Is The Flash the best sci-fi show on television? It’s definitely in the running (see what we did there? ), and Season Two has been a roller coaster as Barry did battle with a villainous speedster who far outmatched him. Ratings continue to be strong, averaging north of 3.5 million (Live + Same Day) this season. 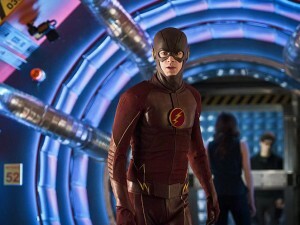 Expect Season Three to kick off a new storyline with a new foe as Barry races on toward his destiny as the fastest man alive. 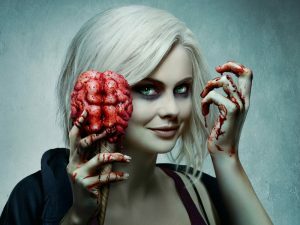 iZombie earned an early renewal (along with the rest of The CW’s line-up), and will be back for Season Three at mid-season — meaning it will likely get a smaller episode order than this season’s 19 hours. 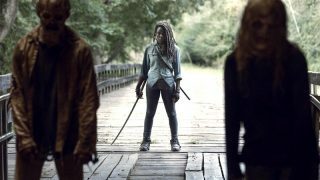 The comedy-horror show has been pulling in around 1.2 million viewers on Tusday nights, as Liv uses her zombie powers to solve homicide cases. The CW’s high-profile breakout this year came at mid-season, with a hard sci-fi time-travel show with a team of heroes (and anti-heroes) working together to save the future. After an uneven start the series is roaring toward a strong finish, and promises a significant cast and story shake-up for Season Two — which will premiere in the fall. With ratings sliding under 2 million for a show that can’t be cheap to produce, it could use an infusion of new life. 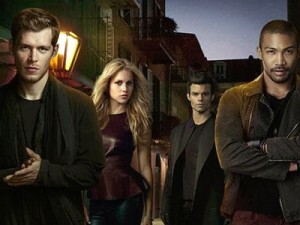 New Orleans-based vampire drama The Originals is getting a fourth season, which the network will hold back to mid-season for the first time. As the new season begins the Mikaelson must stand together to face the culmination of a dark prophecy which threatens their immortal lives. The show has only crested 1 million live viewers a handful of times this year, which may help to explain what will be a shorter season next year. The CW’s stalwart veteran fantasy drama just won’t quit: heading in Season 12 (!) it’s the longest-running fantasy series in U.S. history. 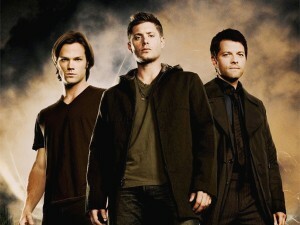 Sam and Dean Winchester must rally their allies in a final showdown with the most destructive enemy they’ve ever seen. Supernatural has continued to be a strong performer in its eleventh season, with close to 2 million viewers each Wednesday. The show will move to Thursdays in the fall. The original vampire drama has weathered ups, downs, and cast changes to reach its remarkable eighth season next year. 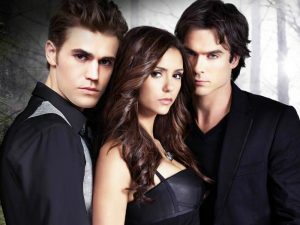 With Damon and Stefan rebuilding their lives after losing Elena (former series lead Nina Dobrev), Season Seven ratings have been just above the 1 million line on Fridays. There are murmurings that Season Eight may be the show’s last, though no determination has yet been made — nor has the network settled on the number of episodes. Adam: Mid-season shows typically don’t get more than about 13 episodes, just because of the number of weeks between Jan/Feb and the end of the regular broadcast season in May. 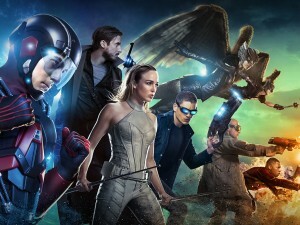 Legends of Tomorrow was a mid-season show and got 16 — which is just about the max that Originals fans can expect next year.